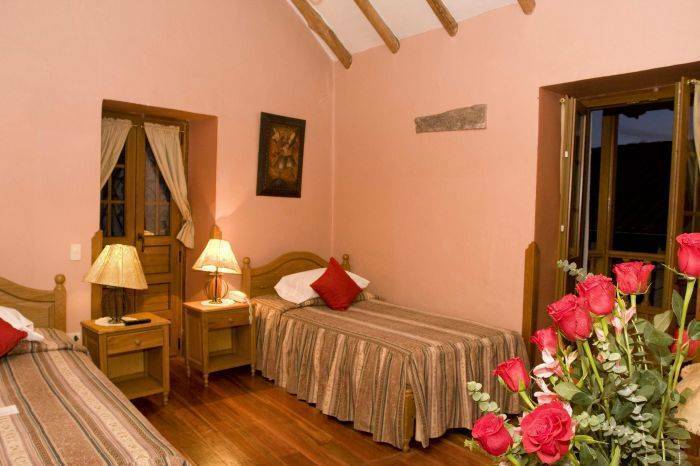 Location: Quietly nestled in the foothills of the unspoiled historical site of San Blas, only a short walk from the Plaza de Armas, its restaurants and souvenirs shops. 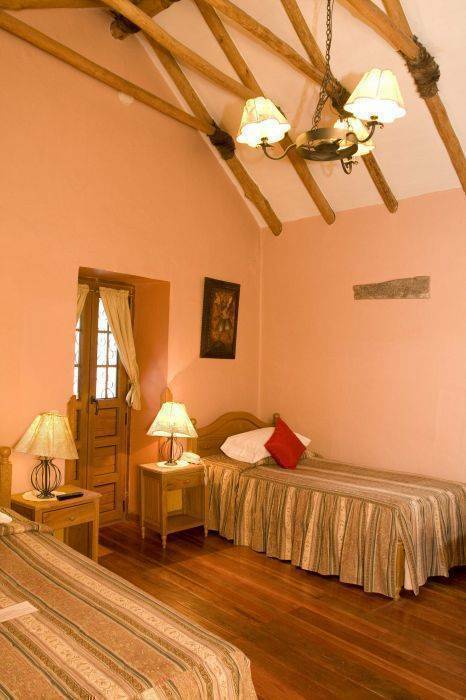 Just 10 minutes from the Velasco Astete International Airport and the San Pedro rail station to Machu Picchu. 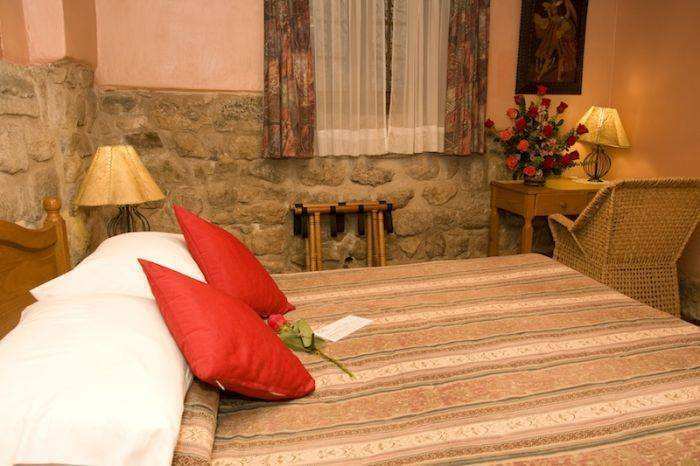 Accommodations: 20 tastefully decorated rooms, some with balconies, wooden floors, soundproof windows, extra-long beds (205cm), 80-channels cable TV, 32" LED Tv's, central heating, smoke detectors, direct dial telephone, private bath with tub or shower. Non-smoking and challenged guest rooms available. 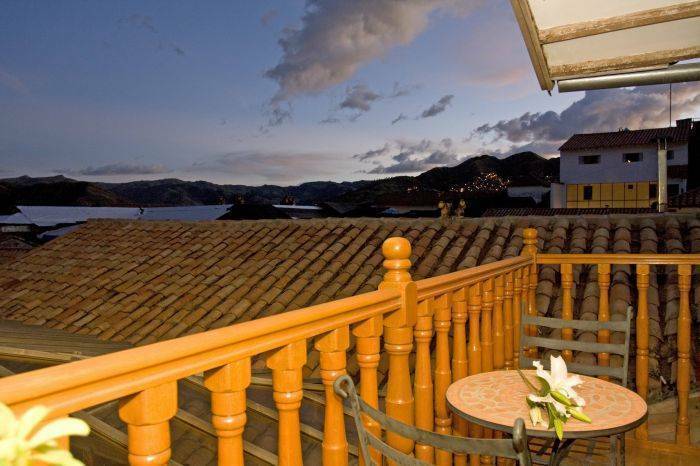 Restaurants: El Mirador Restaurant & Bar and its terrace for unforgettable landscapes, or the cosy El Patio Restaurant, featuring international and regional cuisine. Facilities: Free WIFI in rooms and public areas. Hair dryers and safe upon request. Oxygen tank available. Doctor on request. Laundry, Fax, Money exchange, Flight and train reservations service, free airport pick-up only if you send us by email your carrier, flight number, date and time of arrival at least 48 hours in advance. Free Coca teas at El Patio. Facilities: Internet cabin down at the patio. Mail service. Hair dryers and safe upon request. Oxygen tank available. Doctor on request. Laundry, Fax, Money exchange, Flight and train reservations service, free transportation from and to the airport. Free Coca teas at El Patio. El Mirador Restaurant & Bar and its terrace for unforgettable landscapes, featuring international and regional cuisine. 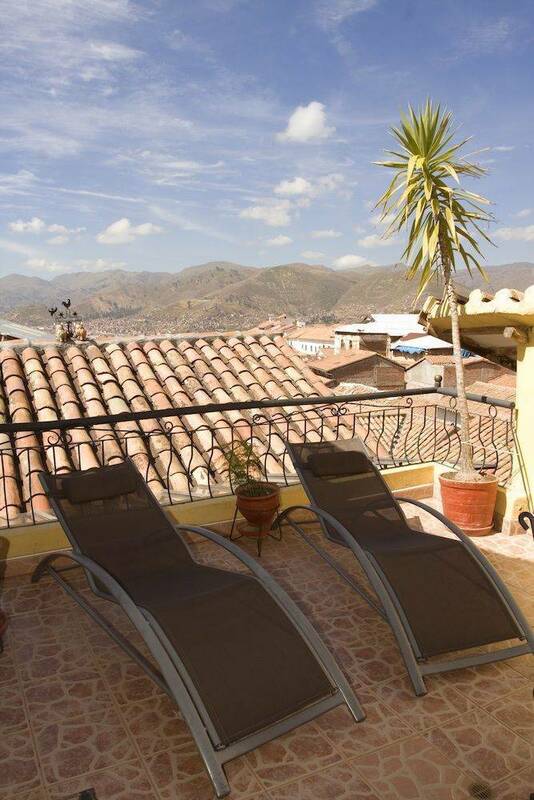 The cosy El Patio Restaurant, featuring international and regional cuisine. Ask for the Tullumayo street, go up. 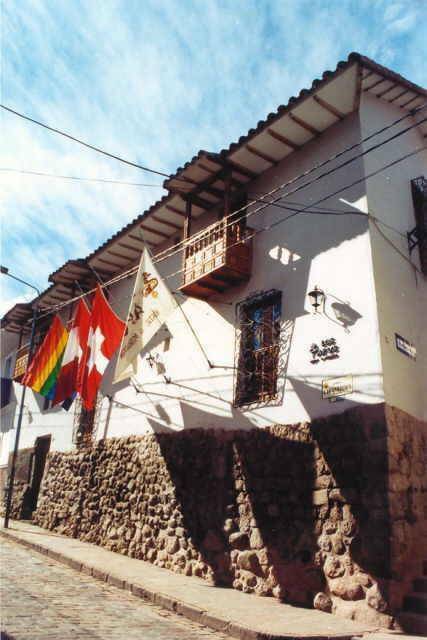 It becomes the Choquechaca street, go until the cross with Atocsaycuchi str. Otherwise, just let us know your flight and time arrival, we will pick you up free of charge.